The story of my life may be told in the places I’ve been. A summer spent in Chile working at several archaeology sites. The home in Kisumu, Kenya that welcomed me as a guest for 10 weeks during my graduate school internship. The village of Zermatt, Switzerland, where I spent an Easter weekend by myself after undergoing a difficult break-up and learned to snowboard on the Matterhorn. The bay that separates mainland Costa Rica from Bolaños Islands, where my husband I almost died while kayaking post-hurricane on our 1 week wedding anniversary. 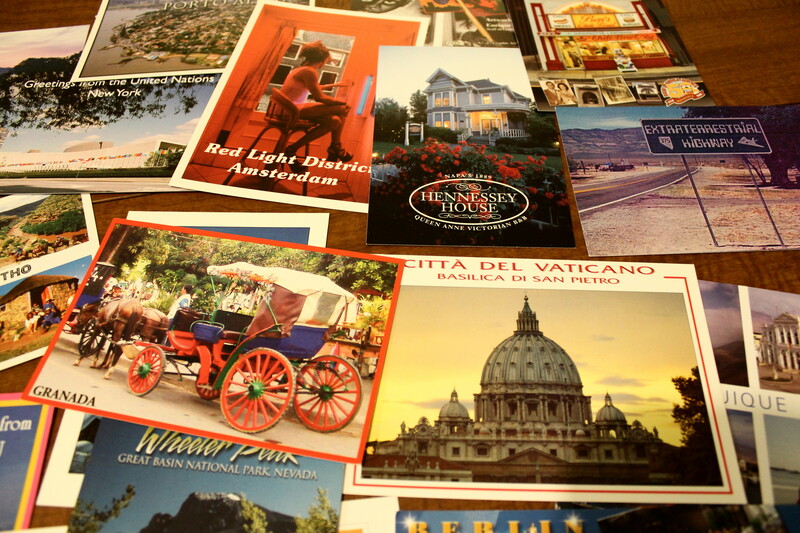 Over the past 15 years I’ve collected postcards from all of the places I’ve been. They’re small, inexpensive souvenirs, and every time I pull them out from my dresser drawers to look at them they trigger memories of the places I’ve been. I am not a materialistic person, but I am attached to memories. Perhaps one of my biggest fears is forgetting. 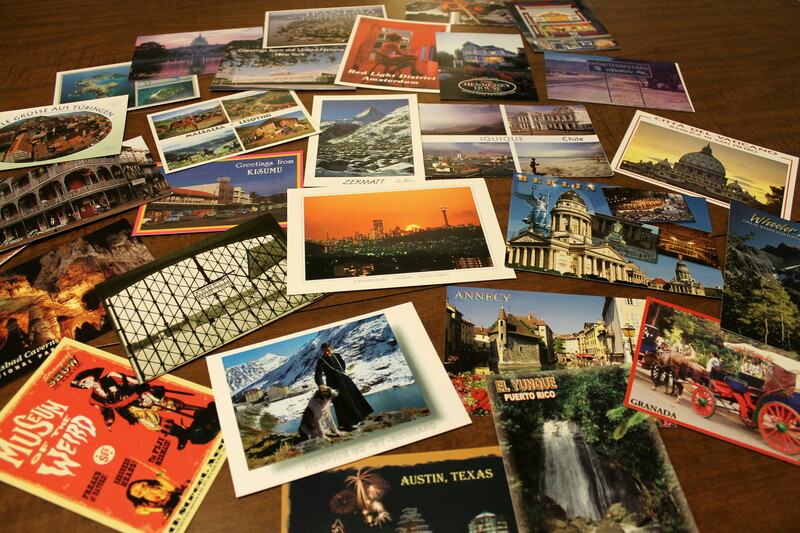 Recently I decided to write some of those memories down on the backs of the 155 postcards I’ve collected over the years. I consider it part autobiography, part mixed media artwork, part fulfillment of an obsessive-compulsive urge. It’s a work in progress. How would you tell your story? This entry was posted in Introspection and tagged DIY, postcards, travel, travel writing, writing. Bookmark the permalink. You’ve been to so many fascinating places! 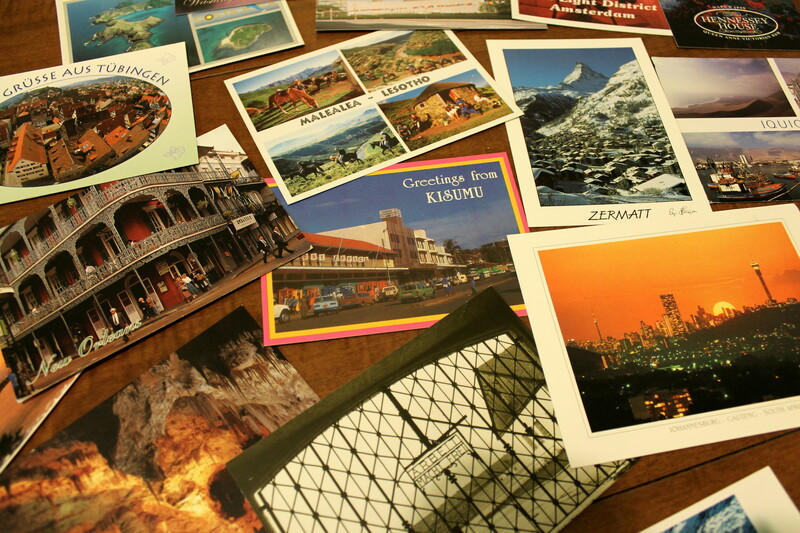 I’ve purchased postcards from the places I’ve been, but I’m not organized enough to know where they all are now. My story would be told through calendars (which are heavily marked up with day-to-day details) and pictures. I’m not a great photographer, but I like to document life experiences as much as possible.